1. Preheat oven to 375°. Cut each squash crosswise in half; remove and discard seeds. Place squash, cavity side down, on rimmed baking pan. Bake 25 minutes; add fennel to pan with squash and bake 20 minutes longer or until squash and fennel are tender. Turn squash cavity side up. 2. Meanwhile, prepare rice as label directs, adding cranberries during last 5 minutes of cooking. Fold fennel and remaining ingredients into rice mixture. 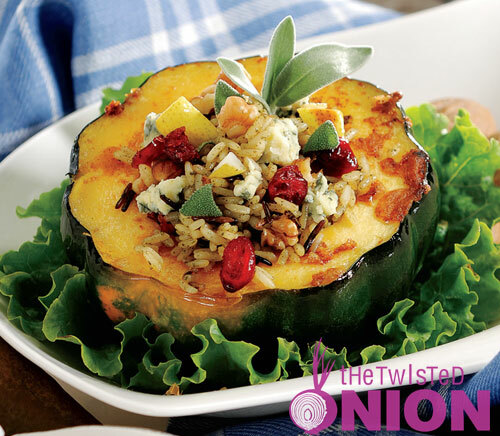 Fill squash cavities with rice mixture and bake 10 minutes.